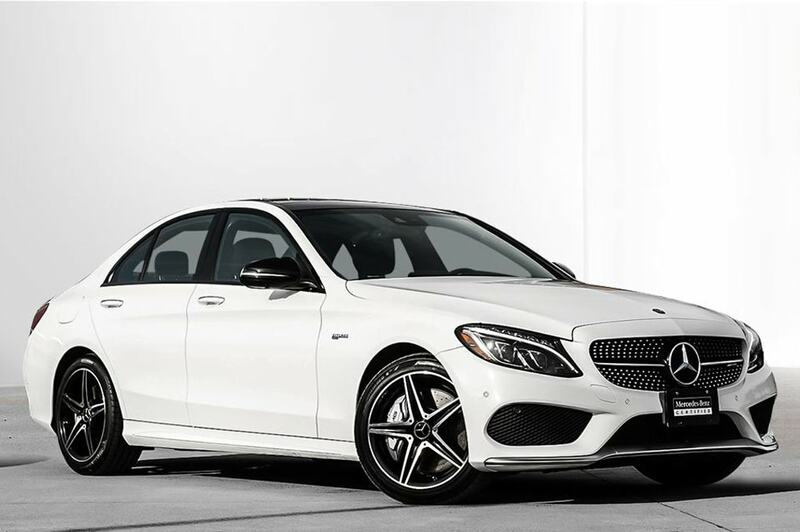 The sports sedan formerly known as the 2016 Mercedes-Benz C450 AMG, the 2017 C43 occupies the chasm between the four-cylinder Mercedes-Benz C300 and AMG’s wild, V-8–powered C63. Although this middle child’s twin-turbocharged 3.0-liter V-6 is mass produced in a factory, it’s plenty stout—and surprisingly soulful in tone for a bent-six on a steady diet of boost. The output here is the same as it was in the C450, at 362 horsepower and 384 lb-ft of torque, the torque coming on quick and strong and achieved at just 2000 revs. 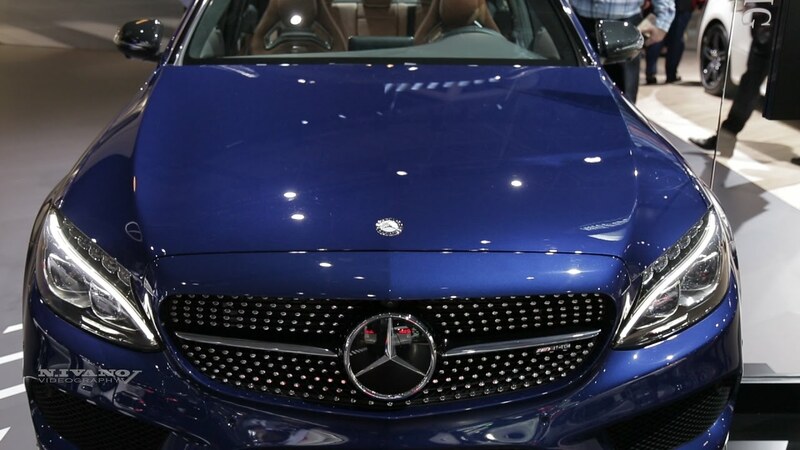 The big change for 2017 is aft of the engine compartment, where AMG has replaced the previous seven-speed automatic transmission with its new nine-speed 9G-TRONIC unit. 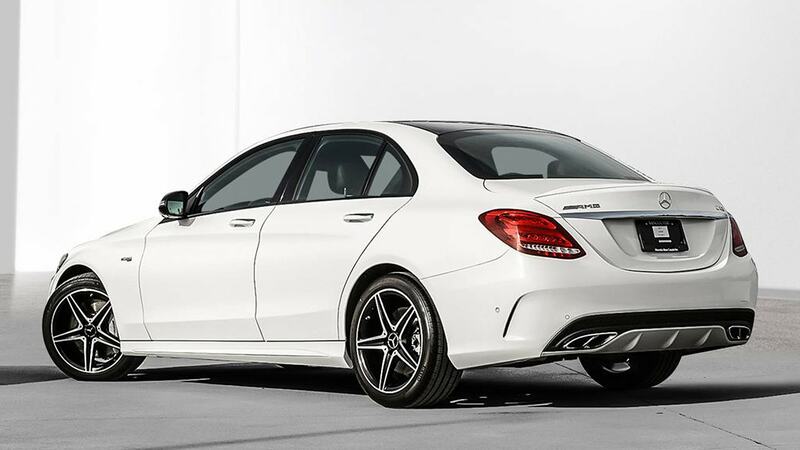 The goal of the swap is to improve fuel economy as well as performance, and the C43 delivers on both counts. Despite weighing an additional 66 pounds, our C43 test car shot past the C450 to 60 mph (4.1 seconds versus 4.5) on its way to a 12.7-second quarter-mile blast at 110 mph—eclipsing all of its rivals and much closer to the times of the 503-hp C63 S than the 241-hp C300. The additional gear ratios combined with snappy downshifts also improve rolling acceleration from 5 to 60, 30 to 50, and 50 to 70 mph.